Welcome to DC Motor Co.
At DC Motor Co we are dedicated to sourcing your dream car. Integrity, Value, Speciality, Transparency and Honesty in the sale & sourcing of cars for the Irish & International markets. We apply decades of experience & global connections to find your perfect car. Connecting you to your dream car is what we love to do. We are independent enabling us to give unbiased opinions about all makes and models to best suit you. We have a limited amount of stock available at any one time in our showroom but we're known for sourcing to order any particular model/specification for our client's individual needs. At DC we can see the future, and the future is electric. 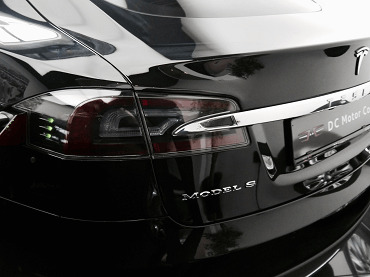 With government incentives and improved technology the electric car is pushing its way into mainstream car markets. 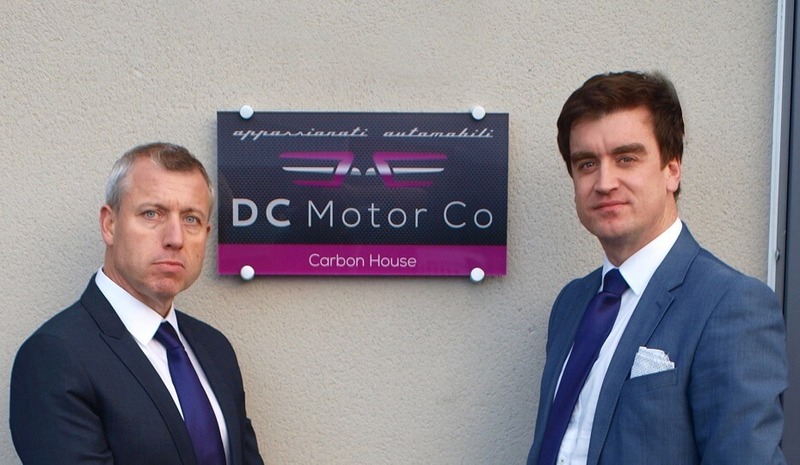 DC Motor Co was founded in 2006 with one vision: to give our customers the best possible personal experience. In 2009 we took control of Ireland’s (IRL) most prestigious supercar dealership. In 2013 we travelled to Dubai to partner with the biggest supercar dealer in the world and established trade buyers in Asia. DC brought the concept of luxury car sourcing to Ireland. Paul Clifford and Adrian Slattery have been friends and performance car enthusiasts for their entire lives. 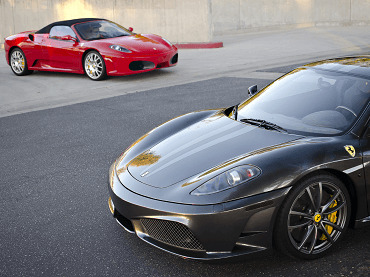 Their insider knowledge allowed them to create an unparalleled network of rare and exceptional quality car sources. DC Motors Can Find Your Dream Car. Do you not find it very frustrating when you simply can’t get the car you want? We did! Why go to numerous main dealers ( North/ South /UK) when you just simply come to our showroom in Sandyford, Dublin and get the car you actually want. We’ll do what most other main dealers won’t. Connecting you to your dream car is what we love to do. We are independent enabling us to give unbiased opinions about all makes and models. 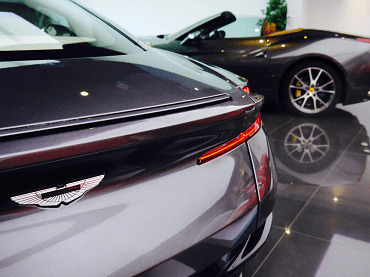 Specialising in Aston Martin, Audi, Bentley, Brabus, BMW, Ferrari, Lamborghini, Maserati, Mercedes and Porsche, new/used or hard to get models. We take a huge amount of personal pleasure in getting to know our customers. Brian Acheson - Chief Executive Officer. DC immediately understood that I had a very specific requirement. They offered a 'no compromises' service and still managed to find my car quickly with nothing more for me to do except drive it. David Wall - CEO Metal Division, Ardagh Group. Since 2009 Adrian and DC have bought and sold some of my cars in Ireland and across Europe. They have even sourced cars from outside Europe to my specification.. As I travel alot it’s great to have them on the other end of the phone 24/7 for after sales service. I would have no problem recommending them. M Harris, Cork - Porsche Cayman. Adrian offers both a professional and transparent service, from the initial meeting right through the final result “The sale of the vehicle” dealing with all the paperwork and payment was received promptly. © Copyrights DC Motor Co. All rights reserved.